This sweater combines the ease of bulky yarn (Cascade Bulky) with subtle details like shaping at the back and sleeves for a look that is casual and crisp at the same time. 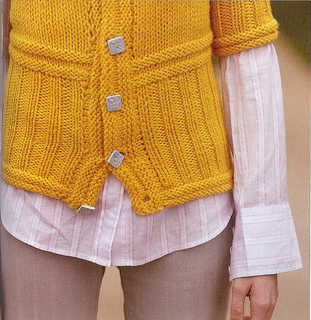 The deep bordered ribbing provides a structured frame for this easygoing knit. Choose a bright color and wear it to usher in the warmer months. 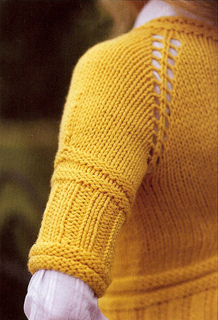 This sweater is knit from the neckline to hem using both decreases and change in needle and stitch pattern to create shaping at the back and in the sleeves. The button band is picked up and knit at the very end.